The Ebb Tides team love to travel the country with our Seaweed stand. We attend a number of food shows & fairs across the year so that you are able to sample our delicious produce. Here are some of the shows that we already have booked to attend 2018. 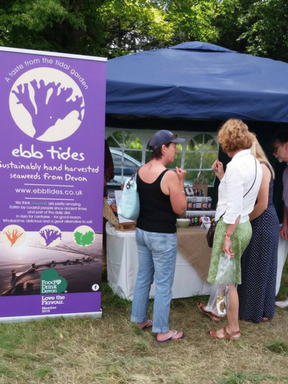 Why not come along to try our Seaweed? If you are organising food show or fair and are looking for exhibitors then please get in touch.